When you’re ready to transform your daydreams and sketches into a clothing line, Indie Source is the resource to make that happen. As a full service clothing manufacturer, Indie Source takes your ideas and makes them into something wearable by combining the right materials, fit, and construction. Our experienced, knowledgeable and passionate team will transform that overwhelming feeling of “where to begin” into the sense of delight that comes from manufacturing your line and bringing it to market. Ready to work with Indie Source? Your intro meeting is the first step. Here’s everything you need to know. Meet your project manager, who will be your direct point of contact. They’re going to supervise, manage, and ensure the overall success of your project. Meet our fabric specialist and trim specialist, who will be sourcing the perfect fabric and trims for your products. Meet with Indie Source’s pattern maker, who will take fit notes (if you already have a prototype sample) . The Indie Source team is experienced, knowledgeable and dedicated to making you and your brand a success and helping you along the way. To get the most powerful results from your Intro Meeting, you’ll need to be ready to discuss a broad range of topics around your label, as well as go into detail about each one. Here’s a rundown of all the info you should have at the ready. What makes your brand unique or special? What are your specific goals for your brand? What is important to you in the development of your brand? Are you price or quality focused? Do you have a logo? Tag line? Mission statement? How are you going to sell your product? Will you have a website? A storefront? Sell wholesale to retailers? How are you going to market your brand? To who? What are the price points for your products? How much do you want to pay to produce them versus how much do you want to sell them for? How many units are you going to order? We have a minimum of 3 style and 250 pieces per style. What is your budget for development? For production? Remember – we think of you as the designer! We are here to bring your ideas to life. Think through all the small details. We’re happy to make suggestions and help, but this is YOUR brand! What are your sizes going to be? XS-XL? S-L? What size would you like your samples to be made in? Think about who would come and try them on. 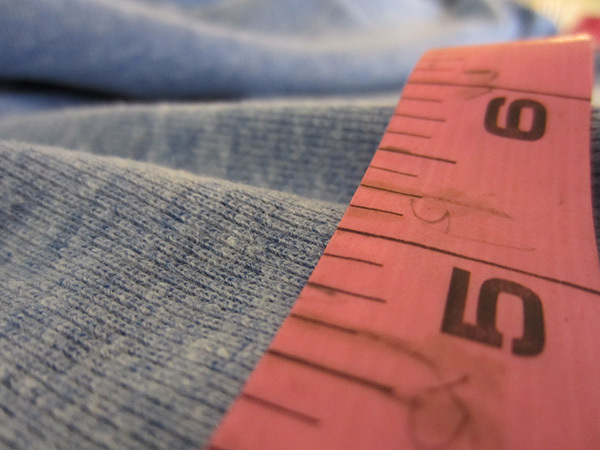 If it is you, have the samples made in your size so you can make sure it’s the perfect fit. What are the grading rules for your production? This means how much bigger do you want each size to be from the last? It is usually 2’’, but look at a line in a store or do some research and compare. Will there be artwork on your products? This includes your logo. What will your main label tags look like? Will they be printed or sewn in? They should have your name, logo, tagline, where it is made, and size. What will they look like? You send your tag artwork before your first meeting! Are you going to have a hang tag or any other tagging or labeling on your products? Think about what they’ll look like in the store. 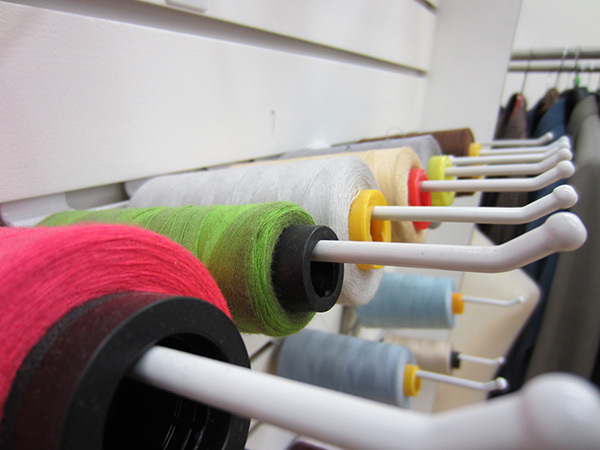 What colors do you want for your fabrics? Bring a color sample with you. We will find similar colors in in-stock fabrics. If you absolutely need a specific hue, we will need to dye it! Bring the exact color sample or find it using the PANTONE color finder. Keep in mind that colors might look different on a screen than in reality. When do you need your samples done? The development process usually takes around six weeks. However, the more custom and detailed your products are, the longer it will take (i.e. custom elastic and prints). When do you want full production to be done? Production usually takes about 4-8 weeks depending on the complexity of your designs. Set dates from start to finish! When do you want your clothes ready to be sold? If we’re starting your line from scratch, it might take a round or two of sample making and fittings to get everything perfect. Indie Source wants to make sure you love your line and fits how you want. Be prepared to make more than one sample. Now that you know what you’ll need to get started, are you ready to call Indie Source? Let’s manufacture your dream line!